KENNARDS Hire Rally Australia will be the closing round of the FIA World Rally Championship on the New South Wales Coffs Coast again in 2017. The rally was confirmed as part of the 2017 calendar by the Federation Internationale de l’Automobile (FIA) world motorsport governing body in Paris, although the date – along with those for up to six other WRC rounds – is yet to be confirmed. Rally Australia Chairman Ben Rainsford said the event would be the closing round of the season and it was hoped it would be on 16-19 November. “We’re delighted the WRC has retained Rally Australia for 2017. This will be our 25th WRC event and the sixth on the Coffs Coast,” Mr Rainsford said. The FIA’s World Motor Sport Council announced dates for the first seven rounds starting with the historic Rallye Monte-Carlo on 20-22 January, just nine weeks after Kennards Hire Rally Australia concludes the 2016 season on 17-20 November. Monte-Carlo, Sweden, Mexico, Argentina, Portugal and Italy have been given 2017 dates similar to this season’s, but France moves forward from late September to become round four in early April. 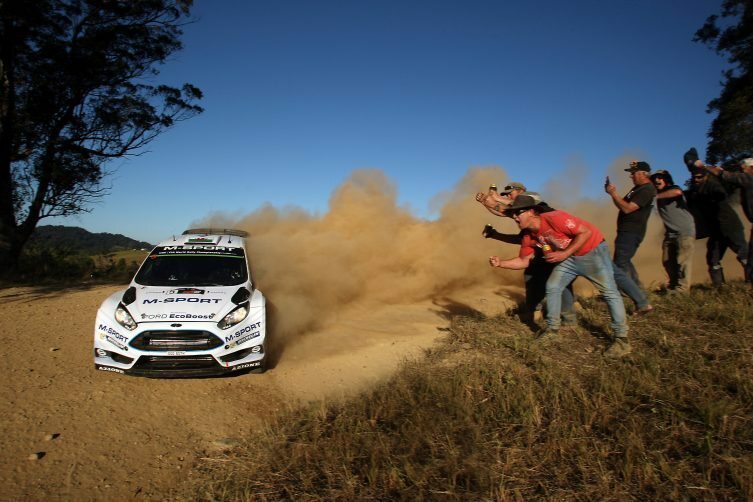 Rally Australia, which will continue to be supported by the government tourism and major events agency Destination New South Wales, and four other rounds – Finland, Germany, Spain and Great Britain – were confirmed on the calendar without their dates being finalised. The confirmed events total 12, but the official website WRC.com reports it has not been clarified whether the complete 2017 season will be set at 13 or 14 rounds. The FIA has nominated China, Turkey and Poland as candidates for the one or two remaining slots. The FIA said the final calendar would be presented at the World Motor Sport Council meeting on 30 November. Preparations for the 2016 Kennards Hire Rally Australia are in the final weeks, with tickets on sale at Ticketek.com and organisers putting finishing touches to plans for the new Destination NSW Super Special Stage beside Coffs Harbour plus a further 300 kilometres of challenging rural and forest rally roads.